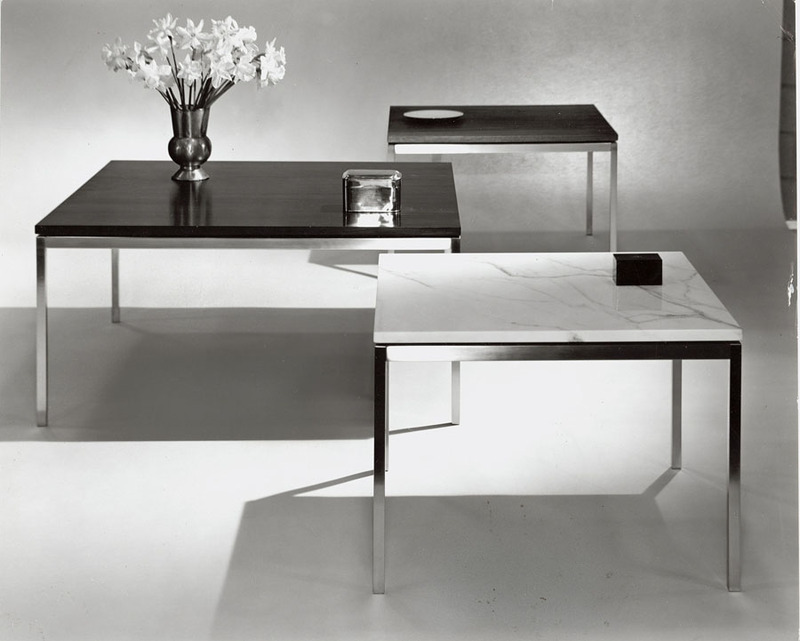 Florence married and became an equal partner in business with Hans Knoll, who founded the eponymous furniture firm, Knoll. Florence saw herself first and foremost as an architect. Her approach was always guided by her vision of the space as a whole, translating and reflecting the architecture in the furniture and spaces she designed and pieces she commissioned from her talented friends for the Knoll stable of products. While she viewed her own furniture designs as “meat and potatoes,” the furniture she designed is still elegantly efficient and enduring, especially in office settings. Florence Knoll brought corporate settings into a more streamlined and efficient aesthetic by separating desk and storage with table desks, which then had room underneath them for others to pull up a chair and conference without storage drawers in the way. She designed credenzas to provide the necessary storage space near but apart from the desk to free up the desk to become a conference space as well. Another of her innovations from her role in the Planning Unit was her paste-up method of sharing design plans with clients. 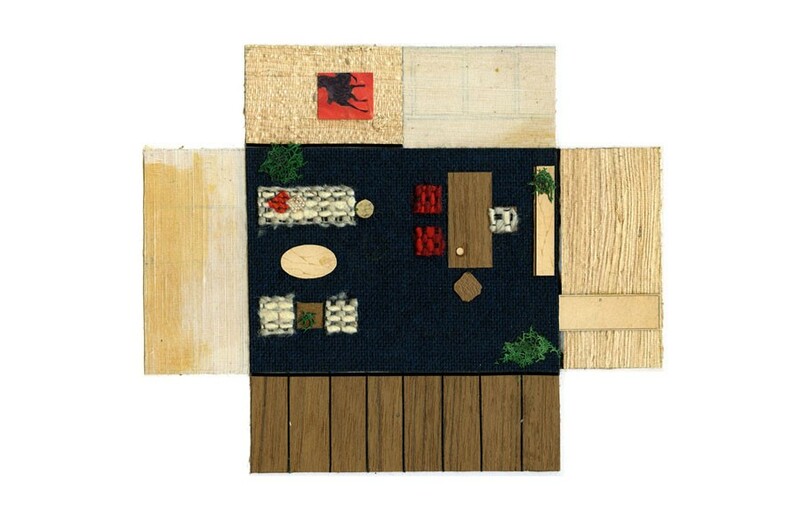 Rather than presenting blueprints, she used boards to give a more tactile and intuitive impression of the design. For instance, she would use fabric swatches for sofas or chairs, wood chips for tables, leaves for potted plants. 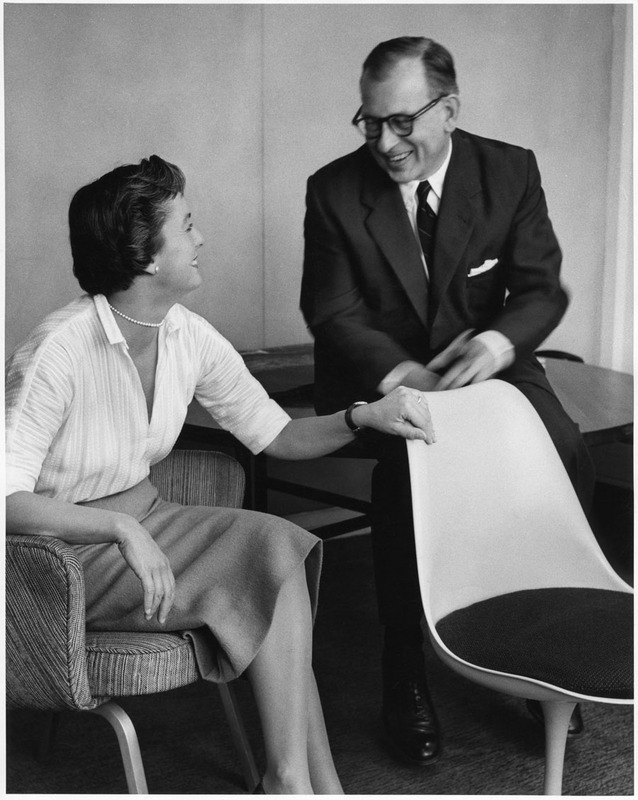 She encouraged talented friends to design pieces for Knoll. 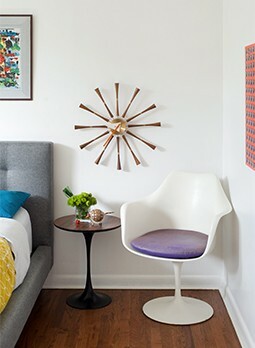 These included midcentury iconic designs like Mies van der Rohe’s Barcelona line, Harry Bertoia’s wire chairs and Eero Saarinen’s Tulip and Womb chairs and pedestal tables. Sadly, her husband Hans Knoll died in a car crash in 1955. She later remarried Harry Hood Bassett but continued her work at Knoll, for a time as president and then Director of Design until 1965. To learn more about Florence Knoll Bassett’s work, visit here for a chronological portfolio with Florence’s notes.